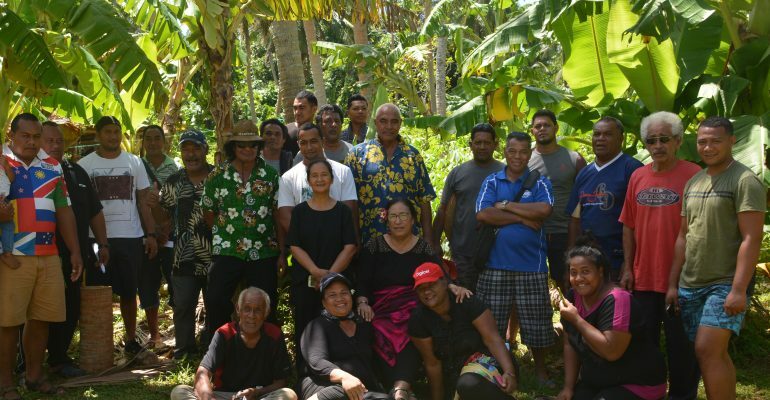 Tonga Skills is partnering with the Ministry of Agriculture, Food and Forestry (MAFF) in Vava’u to conduct follow up training on Vanilla Pollination skills development. The focus is on inspecting the harvest outcomes following the previous training to improve the long-term sustainability of this high-value product. Vanilla growers from the outer islands, MAFF staff and other stakeholders toured three main vanilla plantation sites to observe environmentally friendly farming practices that promote better yields from plantations. There is growing demand for organic produce within the region and Tonga Skills is supporting MAFF to ensure that Tongan farmers have the skills to maximise these economic opportunities. “It is a sustainable long term and high value crop that does not harm the environment but enhance good farming practices for Vava’u and Tonga” she said. An on-site visit to Holonga village where Mr ‘Iloa Piu encourage Vanilla growers to use proper methods of preparing the vanilla tree. “A Vanilla tree needs very little exposure to sunlight. 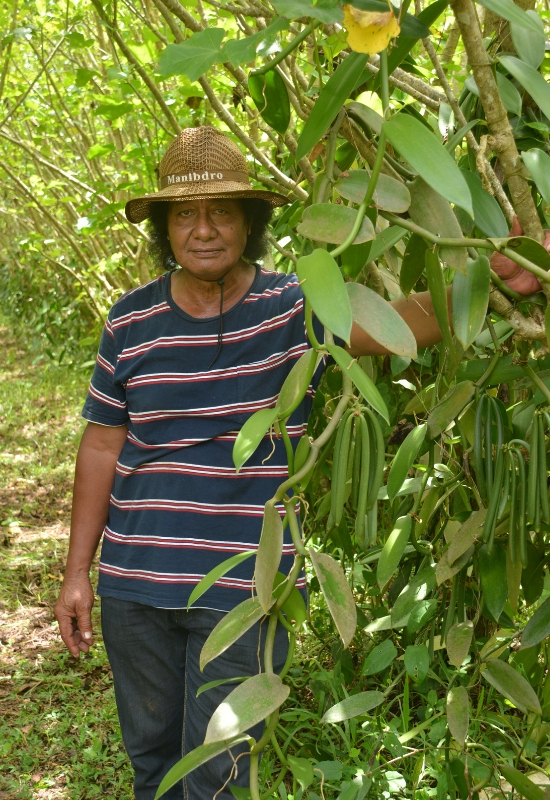 Keep the base of the tree moist and trim the branches for a quality fruit outcome.” ‘Iloa is preparing to harvest at least 500kg of vanilla beans in late April this year.